Stand up paddle boarding is an awesome core workout, and a great way to connect with mother nature. It is just you, your paddle board, and the open air. There are lots of calm stretches of the river that are easy to navigate. Be sure to talk to The Trail Head about current river conditions when you rent your stand up paddle board. Mount Sentinel is an iconic stamp on many Missoula views and is a popular hike for locals and visitors alike. However, not all venture to the very top of the mountain. The hike up to the “M” is 3/4 mile, but if you go all the way to the top it is 1 and 3/4 miles. A steep hike, but it is worth the view! Depending on the time of year, the Alberton Gorge can be fast and furious. That’s why we definitely recommend you go with an expert for this adventure. Here, we absolutely recommend going with an outfitter for this adventure. Blue Mountain has an extensive trail system for hiking, biking, horseback riding and off-road vehicles. Take in the views and get a good workout all in one. 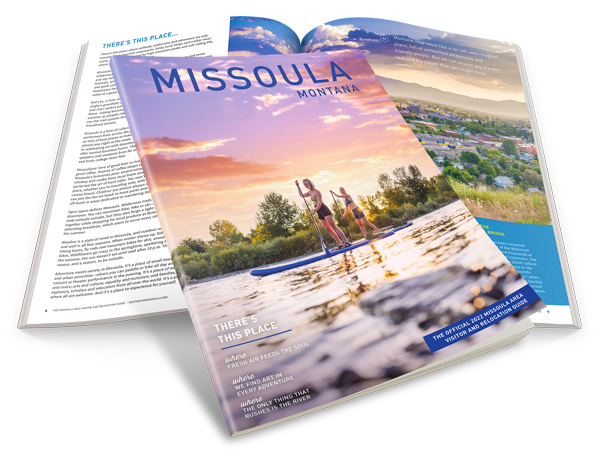 Thanks to A River Runs Through It, Missoula is famous for it’s blue-ribbon trout fishing. So what better place to perfect your fly casting? Brennan’s Wave is a man-made wave that is right in the heart of Downtown Missoula. On any given day you will see kayakers and surfers take turns on the wave. If you’re brave enough, rent a board and try your hand at it. Just make sure to consult with the experts before jumping into this outdoor adventure.